The ‘Waterwinst’ (water gain) website presents building blocks for and examples of function combinations of drinking water extraction and other land use: nature, agriculture, urban area, recreation, water storage and more. 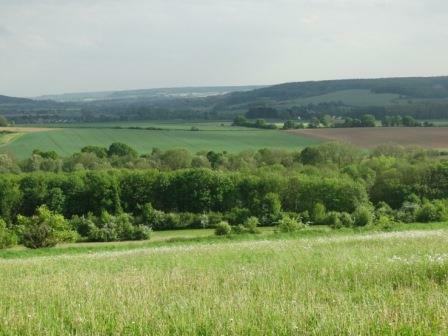 This information helps and inspires people looking for possibilities to work together within the soil and water system in order to combine the various functions the landscape offers as optimally as possible. KWR created the website by order of the Dutch water companies to illustrate how collaboration between different regional partners can lead to wonderful results, give them the opportunity to share knowledge and gain greater insight into each other’s interests and motives. Water companies supply us with drinking water obtained from ground and surface water in areas that many other parties use as well. Water extraction sites, as well as functions such as agriculture and nature, are usually highly location-specific and all have their own demands on the (ground) water system. And these don’t always coincide. Together with partners, the Dutch drinking water companies made an inventory of the function combinations that already exist and what benefits they have provided in terms of usage functions. Many great initiatives have been realised in recent years, but the inventory also shows that there is room for improvement and that there are often different options for realising successful function combinations. This knowledge is summarised on the Waterwinst web page, using fifteen examples we have worked out. We hope that the Internet page will also inspire other function combinations in which collaboration and smart use of the water supply are important. 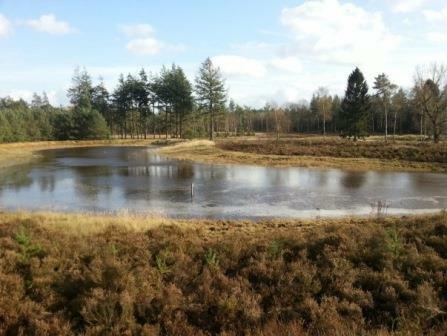 Example: the new infiltration ponds in the Epe water extraction area (Vitens). 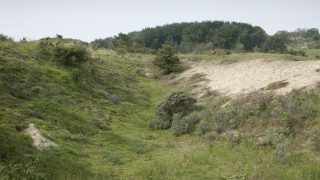 Through infiltration of water from streams, the net extraction in this natural area in the Veluwe region is reduced to 0 m3/year and the extraction quantity for drinking water purposes remains at the desired level. 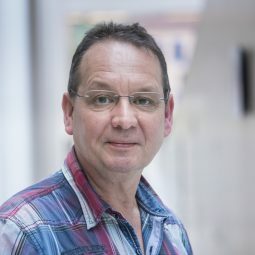 It is the ambition of the water companies to sustainably incorporate their extraction efforts in the environment that they have a strong connection with. But how do you ensure that in the increasingly populated Netherlands the water extraction combines well with the other functions? Or, even better: how do you ensure that the functions enhance each other, creating water gain? This question is approached based on the water systems in the different Dutch landscape types. Where are the user functions in the water system, how do they influence each other and what solutions are there? Such solutions may be technical measures to improve existing situations, but also a new combination of functions, developed in an area-based process. It is important that the parties involved understand each other’s motives and interests and respect them. To promote the understanding between the sectors, the interests and motives are also summarised on the website. In the description of the existing examples we look at the preferences, measures and (success) factors for realisation. 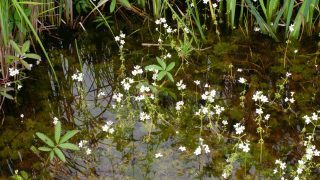 Example: to protect the water quality of the Roodborn extraction site of Waterleiding Maatschappij Limburg, natural areas were developed on the land that is most susceptible to leaching: creek woodlands and calcareous grassland. Together with the farmers who use the greater part of the water extraction area, the company looked for and found solutions to reduce the leaching of nitrogen and crop protection products and still get good farming results. The outcome is a saving in the purification costs, mutual understanding and a beautiful landscape with special natural areas. What can you find on the web page? On the web page we present building blocks for and examples of function combinations of drinking water extraction and other land use: nature, agriculture, urban area, recreation, water storage and more. This information is intended to help and inspire people looking for possibilities to work together in order to combine the various functions as optimally as possible. A section is also dedicated to the different landscape types in the Netherlands and the opportunities they offer for function combinations. Lines of thought have been worked out for the sandy soil areas and lateral moraine areas that can be used in future area-based processes. Amusement park in water extraction area Example: the Emmen Zoo had to find a new site and there was really only one suitable location within the municipal boundaries: the protected water extraction area of Waterleidingmaatschappij Drenthe. This is how WILDLANDS Adventure Zoo came to be, a large-scale amusement park with a closed water loop and its own heating network. An added benefit for the water company is that they now only have one discussion partner in their ground water protection area, a situation that is much more manageable than it was before. The web page is now online! We look forward to filling the website with new knowledge and inspiring examples over the coming years. They don’t all need to be function combinations with water extraction, other examples in which ground or surface water plays a role can also contain building blocks that provide a solution in other situations. But even more, we hope that the examples and background knowledge invite area managers, experts and policy officers to approach the subject of function combination differently and get together sooner to look for water gain situations. The Waterwinst website was created by KWR Water by order of the Dutch water companies and in conjunction with nature conservation and agriculture organisations.